Thanks to Rick James, we all know the saying, "Cocaine really gets the party started! is a hell of a drug." Although there are a countless number of songs where rappers praise the awesomeness of drugs like weed and alcohol, snorting cocaine has always been a little bit taboo in hip-hop. But a few rappers have been bold enough to claim that they enjoy hitting the slopes from time to time. In fact, in the past couple of weeks alone, Kanye West and Rick Ross have both rhymed about saluting the star-spangled powder. 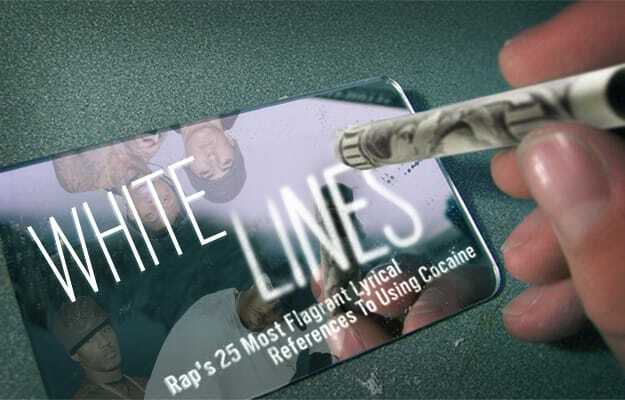 That's why we put together this list of Rap's 25 Most Flagrant Lyrical References To Cocaine. So read up—but don't get skied up. Because drugs are expensive for losers!